When it comes to traveling to Florida, some people are able to go all-out and arrive in style, staying at luxury resorts and sipping champagne on top Florida beaches. Others, however, may not have as much money to spend. Fortunately, it is possible to visit Florida, no matter what your financial situation. But if you’re planning on traveling to Florida on a budget, there are a number of things you’ll want to keep in mind. First, look at your travel options. Flying is certainly the quickest way to reach Florida, but it may not be the cheapest. In today’s world, you have to pay for just about everything, including your checked baggage and any snacks or drinks you want on the plane. And while there are some airline specials that will save you money, you often have to fly out on specific days or take early morning flights to qualify for the lowest rates. Even then, you won’t be able to take as much luggage as you’d like or bring back as many souvenirs when you fly. If you have a few extra days to spare, you may want to consider taking the bus. While it certainly takes longer to get to Florida, bus tickets can be much cheaper than airline tickets. There are a few things to consider, though. First, buses often break down or get delayed, meaning you may not make it to Florida in the time you anticipated. Second, luggage may get shuffled around if you end up missing a bus or have to take a different bus. This can be annoying, too. And, finally, just like the plane, your luggage may be limited to one large bag or by weight. Driving to Florida may fit within your budget, but there are some extra costs here that you need to anticipate, as well. First of all, you have to purchase gas. And while gas prices in the U.S. are no longer approaching $4.00 a gallon, it can still be expensive to drive all the way to Florida, especially if you live on the West Coast. Even living in the Mid-U.S. – Texas, for example – you’re still looking at a two or three day drive. During this drive, you’ll need a place to stay, which adds more hotel costs to your trip. However, if you’re willing to stay at budget hotels or take along your camping gear and camp out, you may not have to spend that much money while driving. However, you’ll also need to consider the wear and tear on your car if you’re planning a Florida road trip. If your car needs thousands of dollars in maintenance just to make the trip, or if the drive would put you over your mileage limit on your lease, you may want to look at renting a car to get there. Of course, this is yet another expense that you need to consider in your budget. After adding in gas, a rental car, and the extra lodging costs, you may find that it really is cheaper to fly to Florida. Of course, driving is its own adventure, and you can see other sights on your way to Florida. As you can see, you have several different options for traveling to Florida on a budget. In the end, your decision should be based on cost, as well as other factors. If you want to do a lot in Florida, fly there so that you’ll have more time. If, on the other hand, you’d rather see some sights on your way, take the bus or drive. 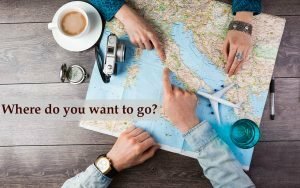 Here at TravelPlanInfo.com we know how stressful traveling can be and this is why we are posting this travel planning guidelines (and everything in between)..